The year I started writing for young people, I attended my first international SCBWI (Society of Children’s Book Writers and Illustrators) conference in Los Angeles. Four days of writing craft, page critiques, networking and an overwhelming amount of information. So I almost missed it when an agent, talking about her client’s work, mentioned that it was a novel of historical fiction, set in the 1970s. Most of the audience gasped, because most of us had lived through the 70s, making it difficult to believe it could be considered history. As an aspiring author of historical fiction, I had to reset my understanding. And I continue to do so as I read new books and think about future projects. The first thing I did was put myself back in the shoes of my younger self. As a teen, I considered the Vietnam War to be history. 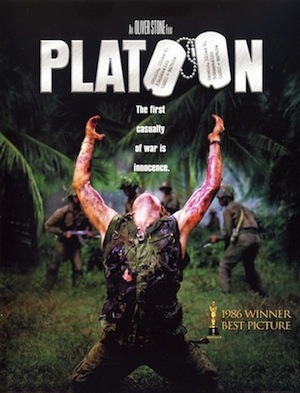 When I was Platoon, it was as a work of historical fiction. And yet, I was six years old when Saigon fell. By that calculation, a novel published today about the terrorist attacks on September 11, 2001 could be considered historical by modern teenagers. However, part of me still balks at the thought of writing (or reading) something historical that is set during my own lifetime. I have a nagging feeling that there are agents and editors out there who might feel the same way. While I was writing Gilt, I attended a workshop where an agent mentioned that she never wanted to see another query about a book set in the 1980s, because it usually meant that the author wanted to reference her favorite music and was too lazy to figure out how to put cell phones into the narrative. I bet no one said that to Rainbow Rowell about Eleanor & Park. Which brings me to my second point–that great historical fiction reads like a contemporary story. I don’t mean that an author should use anachronistic language and dialogue, or that the story itself should be applicable to any time period (you can’t write a story like Number the Stars set in modern-day California). What I mean is that characters and their interactions are timeless. People fought with their siblings and fell in love during the American Civil War in much the same way we do now–which is one of the reasons Little Women is so endlessly beloved. You can’t take the war out of the story, but we can see ourselves within the people who inhabit it. 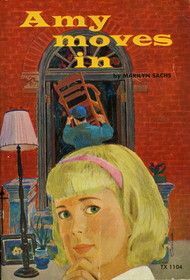 One final example: my favorite book when I was in the third grade was a novel called Amy Moves In, by Marilyn Sachs. It’s about a short, skinny girl with super curly/frizzy hair, whose older sister is smarter, taller, braver and has (holiest of holies) straight hair. Amy moved to the Bronx, had adventures, fought with her sister, made friends. That book made me desperate to go to New York. I read it–and its companions–more times than I could count. Many thanks to the Scholastic Book Club for putting them in my hands. What I didn’t realize until much later was that the books were originally published before I was born and set in the 1940s. They were–by all accounts–historical. They never felt that way. I always imagined that I could go to the Bronx, find Indian Rock in Crotona Park, and share a chocolate egg cream with Amy or someone just like her. Readers want to be able to relate to fictional characters, even if they can’t always relate to the setting–be it medieval Wales or post-apocalyptic Chicago. So we, as writers, have to make our characters believable as people and not just as people from the past. Think about some of your favorite fictional characters from historical fiction. What is it that makes you feel like you know them? And does that work today as well as it works in their own era? 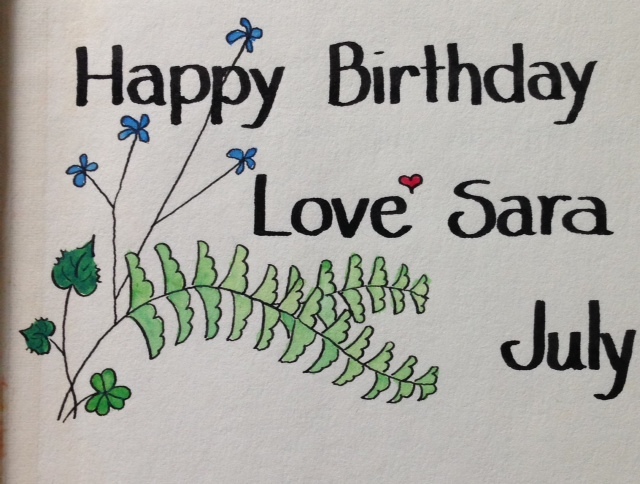 Today I’m celebrating two birthdays: my own, and my book’s! Whistle in the Dark is brand new in paperback this summer, and I’m looking forward to this year’s fresh new edition of me. Or whatever. I love my summer birthday–as a kid, I often got to unwrap a new hardcover book. Here’s the inscription my sister painted inside her gift to me one year. 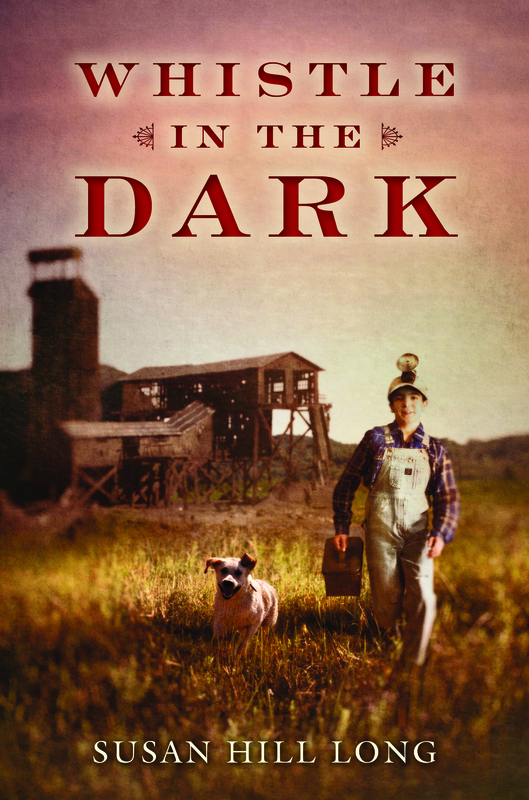 When Whistle in the Dark was published last fall, the Corsets, Cutlasses & Candlesticks team asked me all about it, and (following Katherine Longshore’s lead on the recent celebration of her new book, Courted) I’ll link to that excellent interview here. The book enjoyed an exciting first year – appearing on Publishers Weekly Best Book of 2013, and Bank Street College of Education Best Children’s Books, 2014, honors I share with many of my writer-friends and idols, and for which I’m truly grateful. I hope you enjoy a season of summer reading: now that’s always something to celebrate. Susan Hill Long grew up in New England, and lives in Portland, Oregon, with her husband and two daughters. Her books for beginning readers have been published by Macmillan and HarperCollins, and her fiction has appeared in Hunger Mountain. She is the recipient of the Katherine Paterson Prize. I get asked this question all the time. As if there’s something less-than about drawing on historical details rather than, say, fantasy elements or futuristic dystopias. There’s the implication that history is boring. That it’s already happened, much of it has already been written down (or in the case of the Tudors, written down, fictionalized, fantasized and made multiple TV miniseries). That story’s been told, why not write something original? The glib answer would be, Because it’s there. 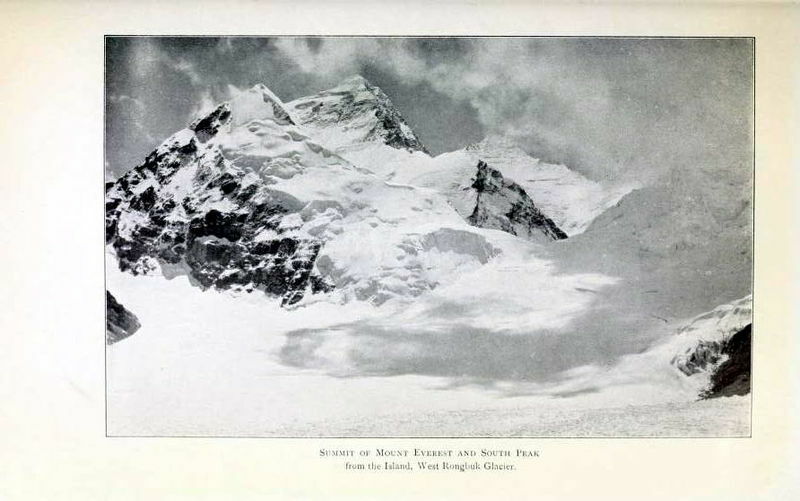 If it’s a good enough reason for Mallory to climb a mountain, it’s a good enough reason for me to write a novel. Of course, it’s more than that. It’s because the elements of history are often more fantastical than fantasy. Maybe there are no dragons, but there’s plenty that requires you to suspend your disbelief. It’s because retellings are fun. Just look at the recent retellings of Cinderella, Alice in Wonderland, and The Island of Dr. Moreau. It’s because there are elements of all the genres in history. Not just fantasy, but also romance, mystery, even dystopian. As J. Anderson Coats has said, history is the ultimate secondary world. Because it actually happened. For me, it’s all of these things held together in an inescapable web. The shock of Game of Thrones-type brutality. The incredulity in discovering a piece of truth so beautiful, you’d think it was fiction. The sure knowledge that this really happened. But maybe not exactly the way it was written down. 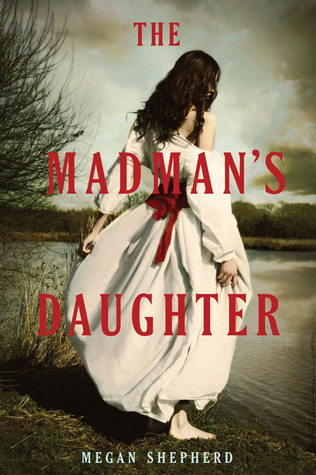 Because what I love most about historical fiction is being able to dive into characters, look at what they did and how they were seen and excavate new possible motivations. Create a believable character from bones and tell the story of her life. Not as it was seen, but as it might have been lived. I recently read a review of Brazen by another writer of historical fiction. 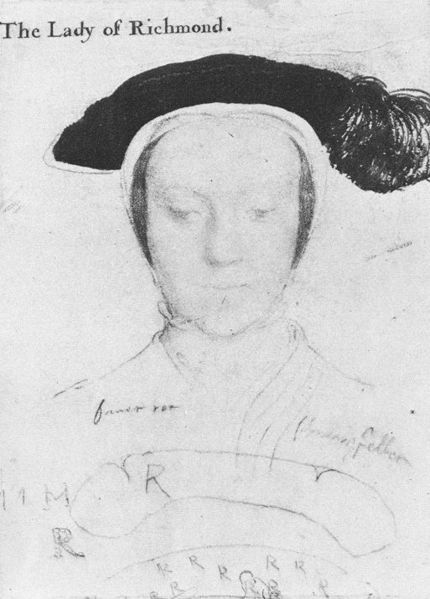 A writer whose current YA novel centers on the life of Mary Howard—just as Brazen does. At first, I was nervous—would she hate it? Bitterly disagree with my character or (God forbid) find fault with my historical accuracy? But upon reading it, I discovered that she relished the fact that my Mary was so different from hers. That two writers could look at the same facts and come up with two utterly different—and I’m sure, equally compelling—narratives. The history may be the same, but the stories divergent. That’s why I write historical fiction. Historical YA Novels at the Movies: When Will We Get Our Blockbuster? Lovers of historical fiction have patiently waited through the mass hysteria known as the Twilight and Hunger Games movie adaptations. We’re even cheering on upcoming contemporary YA adaptations, such as The Fault in Our Stars, even if the settings are considered far hipper than what we’re used to reading and loving. But, let’s face it, if you’re like me, you’re waiting for the rock star of historical YA movie adaptations to show up in a blaze of killer costumes and settings and take the movie world by storm. In April, we Corsets, Cutlasses, & Candlesticks members blogged about the current golden age of historical TV series—a wonderful trend for the small screen. I love being able to turn on my TV during almost any month of the year and finding myself treated to smart and entertaining period pieces. But those shows are typically created for adults, not teens. Most of the series don’t draw their source material from novels, especially not YA novels. 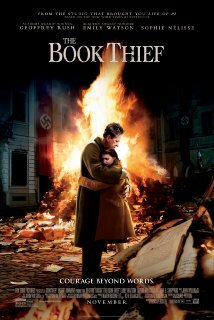 One of my all-time favorite YA novels, Markus Zusak‘s The Book Thief, showed up in movie theaters last fall. I crossed my fingers and hoped the movie would be a huge hit, and it did fairly well. As I expected, the movie was up for awards, including an Oscar nomination in the category of Original Score. However, it did not become a major event movie comparable to Twilight and The Hunger Games. The Book Thief isn’t the type of story that inspires “Team Max” T-shirts and other to-die-for merchandise featuring pretty people glaring at the camera with smoldering eyes. To be a rock star of YA movie adaptations, you have to come across like a rock star. And that’s not where the beauty and magic of historical YAs typically lie. I agree. 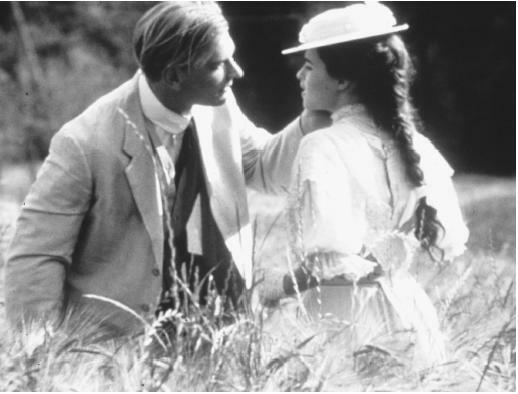 As a teen and a young adult, I gobbled up Merchant Ivory adaptations of novels by E.M. Forster, such as A Room with a View and Howard’s End. These films weren’t adaptations of YA tales, but they fulfilled my need for visually arresting and emotionally intense period pieces. The costumes were glamorous, the settings divine, and the characters complicated. In short, the movies involved people finding their way in the world (like I was) while living in stunning surroundings (like I wanted to do). Who could ask for anything more of a book or a movie when one is young (or even not so young)? Furthermore, movie adaptations of favorite books are fun. It’s delightful to find an amazing book and then to learn that said novel will be celebrated on a universal level. Sure, there’s the risk of filmmakers butchering a beloved story and making huge casting blunders, but complaining about those blunders allows us to further bond with other readers who fiercely adore the same novels. On the other hand, a book doesn’t need to be adapted into a movie to be a true book. I think some readers feel a film adaptation is the ultimate stamp of approval for a novel, which is a shame for all the wonderful stories out there that won’t ever receive the big-screen treatment. Every author will tell you that frequently asked questions from readers invariably include “Will your book get made into a movie?” and “Who would you cast in the movie version of your book?” Adaptations (the good, the bad, and the nonexistent) should never be used to judge the worth of a novel. They should be seen instead as a bonus feature for a book. An entertaining extra. Sure, movies help increase a book’s exposure and sales, but they typically won’t make the source material any better or worse than what it originally was when it first became a full-fledged novel. Even if the rock star of historical YA movie adaptations never arrives, my love of historical fiction won’t wane in the slightest. The genre’s worth will not diminish. The novels themselves, if they’re strong enough, will allow us to feel as though we’ve already seen the movies inside our own heads. If we do end up getting to see our favorite historicals turned into movies—and if those movies happen to become blockbusters—their success will simply show the world what we already know: HISTORICAL FICTION IS FAR FROM BORING! For now, let’s enjoy the wealth of historical YA fiction making its way onto bookshelves. Let’s keep our fingers crossed for all of the historical novels already on their way to becoming feature films. And let us remember that, no matter what Hollywood decides to do about historical YAs, the genre will continue to flourish, to entertain, and to gather new readers, young and old. I write historical fiction for a lot of different reasons, but one of them isn’t that I don’t want characters to be able to text. I firmly believe that the past is interesting in its own regard, that the middle ages were full of fascinating, three-dimensional individuals whose lives and worldviews are worthy of narrative space. When I do my job right, my characters aren’t puppets who caper around acting out some modern morality lesson and they’re not twenty-first-century people playing dressup in chain mail and kirtles. When I do my job right, they’re people with problems to solve in a specific historical context, people who have to make their way in a world just as complicated as ours – sometimes more complicated – and more often than not, ten times as violent and fifty times as uncertain. 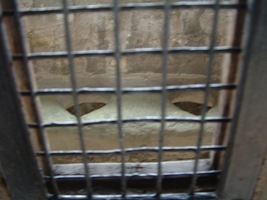 Inventing the future, one toilet at a time. The past isn’t a stage. It isn’t a mirror. But is it an “easy” way to escape the Now? Maybe. We’ve spent most of recorded history trying to escape the Now. That’s why we developed representative democracy and codified law and flush toilets. The problem arises when the past we want to escape into isn’t the past that really was. But revisionism is a whooooole ‘nother post. * Nota bene: I understand that the primary concern of the article is more the state of Literature (and Literature is definitely not what I do), but even in other genres historical fiction is routinely dismissed as escapism and displaced wish fulfillment. I feel like I’m constantly fighting through a veil of romanticism that’s a direct result of how history is understood and mobilized in certain venues.